The start of a self-publishing journey can be overwhelming. I know that personally. 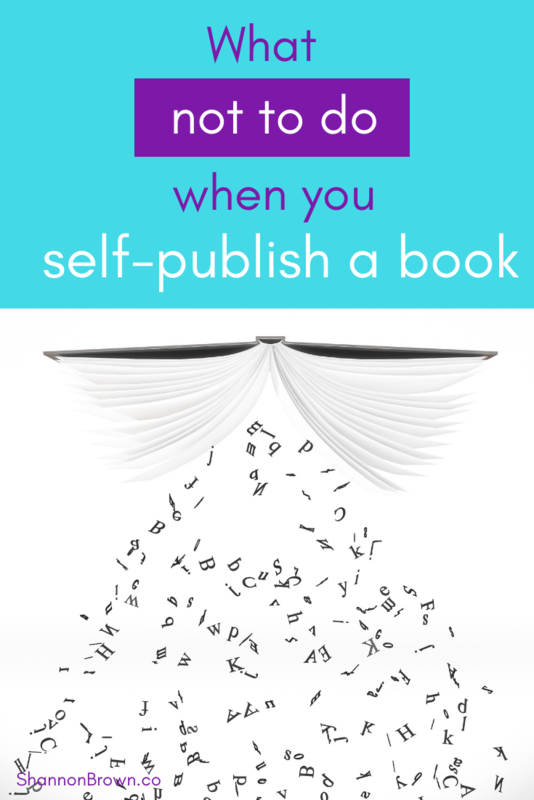 If you’ve started exploring how to self-publish, you probably have a long to-do list. Here are nine things you may be able to take off that list. 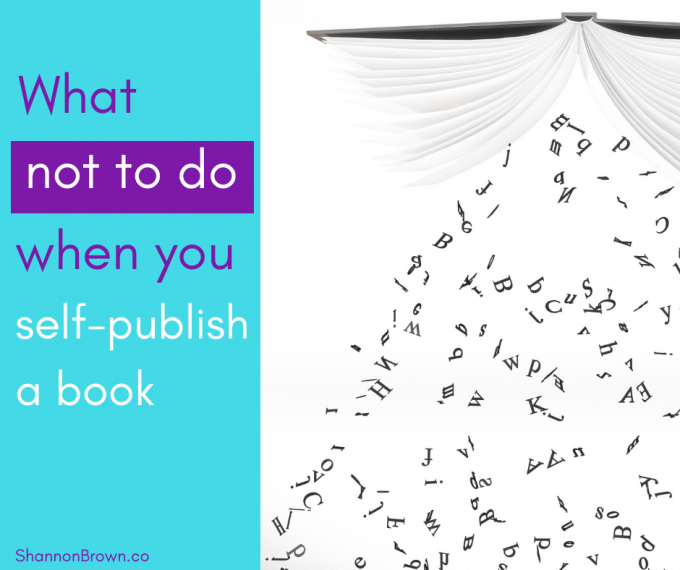 They’re what to not do when you self-publish a book. You may be able to save money and time. There was a time not long ago when a self-published author paid a printer to print hundreds or thousands of books for them. Boxes and boxes of books would fill a garage or spare room. About 30 of my books come in a box. That means that an order of just 300 books would arrive in 10 boxes. Yikes! With print on demand (POD), you can order a single copy of a book or hundreds. The system is linked to your book’s page on Amazon and other booksellers. People are able to buy your book from most stores, even if only through special order. This means you don’t need to have boxes of books in the attic. Exception: If you know you will be selling at events or have another sure-fire way to sell books, a larger order may be what’s needed. The good news is that if you place a volume order of books, you pay less per book. Questions about barcodes pop up time and time again. They can be found online for both pay and free. They’re on the back of print books. Don’t go searching for one though because you probably won’t need one. First, ebooks don’t need a barcode. Second, print books made by Amazon’s CreateSpace or IngramSpark — the two largest POD printers — are printed with a barcode they provide for free. Exception: If you’re planning to print books through a traditional printer (see the exception above), you will need your cover designer to add a barcode to your book’s back cover. A book cover seems easy to make. You’ve got PhotoShop, right? Making one that looks professional isn’t easy. I tried. A book cover has to look professional and fit your book’s genre. We do judge a book by its cover! Every month, a site I follow — The Book Designer — reviews submitted ebook covers and gives feedback. I found it invaluable when I was learning what went into a professional cover. The book cover will cost money, but a book cover is the first thing a reader sees. Is it worth making it your best effort? Self-publishing books and online posts that are more than a year or two old, maybe three at most, are about it for longevity in this industry. The publishing world is ever changing. I’ve heard indies say that it’s ever-shifting sand. Picture a sand dune with the wind blowing on it causing it to change shape, and you’ll have a good idea of this industry. An author friend and fellow used-book-buyer bought some used self-publishing books and quickly realized they were worthless. Following this advice is a great way to save money and time with indie publishing. An ISBN (International Standard Book Number) is a 13-digit number that is assigned to your book. In the U.S., ISBNs are purchased from Bowker. Other countries will have a supplier. This don’t is more controversial. Some authors use ISBNs for ebooks and some don’t. Amazon assigns their own number, an ASIN, to every ebook. While a customer can search on Amazon using the ISBN if you assign one, it won’t be shown on their site. I started out using an ISBN for ebooks, not knowing I could do otherwise, so I’ve kept doing that, but I know many successful authors who don’t. Every other format needs an ISBN including paperback, hardcover and audio. An LCCN is a Library of Congress Control Number and, like the ISBN, it goes on your copyright page. 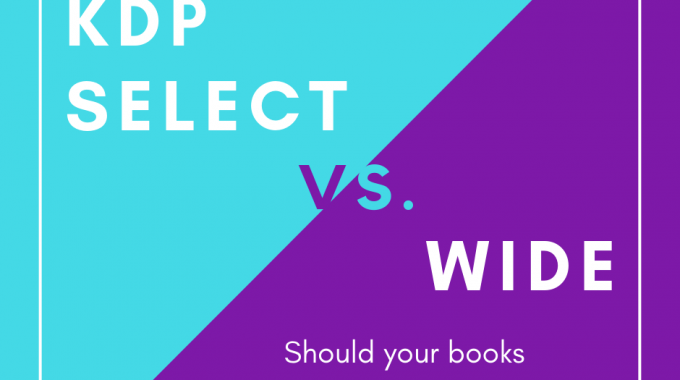 Many, but not all, books from major publishers have one, especially nonfiction titles. Indie publishers first apply for a PCN (Preassigned Control Number) and we’re sent an LCCN. Click here for the Library of Congress FAQ. It’s free with the exception of the copy of the book you have to send them, so you can easily do this if you’d like to. This is another thing I’ve done since the beginning, but I’m not sure that I’ve sold a book because of it. Many books are sold online now, not chosen by a person standing in a store and flipping book to the back to see who wrote it. That photo on the back of the book probably isn’t necessary. Exceptions: If you will be speaking and hand-selling books, or if you have contacts in bookstores or stores and know your books will be there, you may want the photo. Formatting a book, especially an ebook, is surprisingly simple. An ebook can be formatted in Word or in one of several online sites, both free and paid. A print book is also totally doable, and I do mine — but it will have a higher learning curve and take more of your time. Exception: If your book has a lot of images and/or footnotes and endnotes, it may be good money spent to hire a formatter. If you pay a professional formatter to do your book, it will be done right. If you format it yourself or use someone new to book publishing, you’ll need to follow the set formula. It’s pretty basic, but getting it wrong makes a book scream self-published. The title always goes on the right-hand page. The copyright page is the reverse of the title page. A book begins on the right page. Some of these will save you money, some will save you time. Every indie publishers journey is a little bit different. Choose your own journey and don’t spend time or money where you don’t need to. 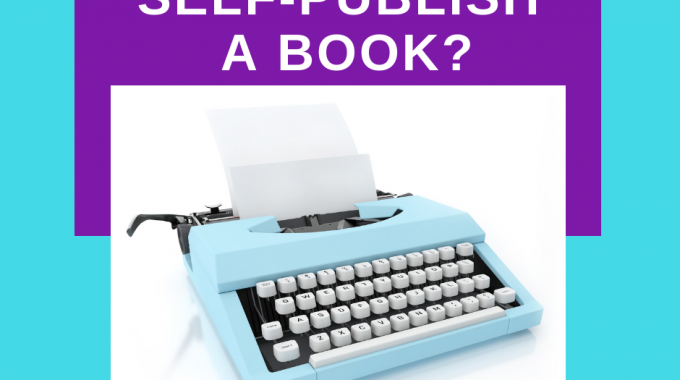 Are you getting ready to be an indie publisher? 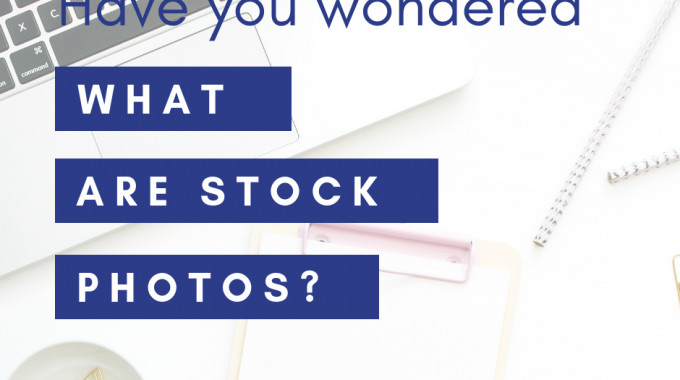 *Canva’s cost as of this post is $1 for an image for an ebook cover or a print book’s first 2,000 copies. The license can be upgraded for more.